It is all about the Holidays this week on AFLA, and I wanted to share a hair look that works perfectly for the season. This look was also featured on Jillian Harris.com, make sure to visit her site to get a special 15% XO Styling Iron shopping code! 1. 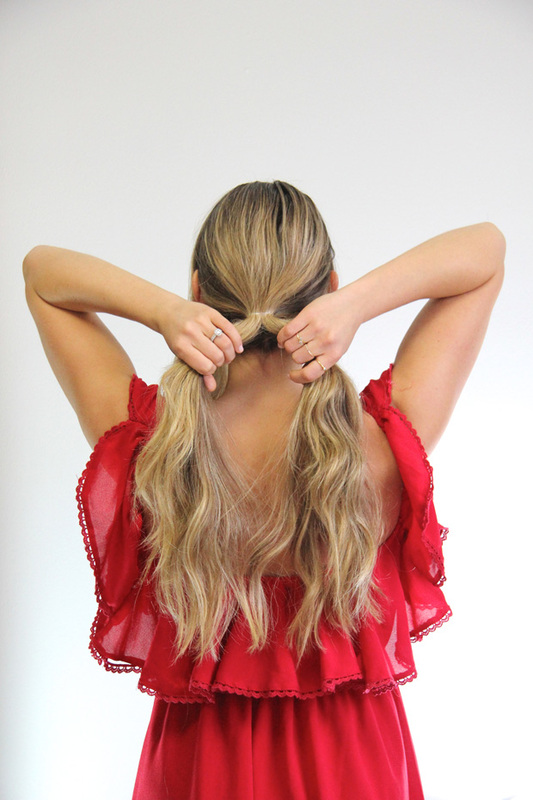 Separate two large pieces of hair at the front of your face and leave hanging, tie the rest of your hair back into a low ponytail with a clear elastic band. 3. 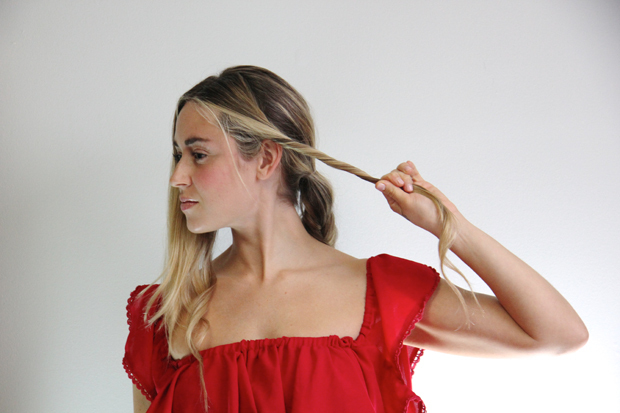 Grab a piece from underneath the right side of the ponytail and bring it to the left. Repeat with a piece from the underneath of the left side and pull it to the right. Repeat back and forth to the bottom of your hair, making sure to pull the pieces tight as you move down your hair. 5. 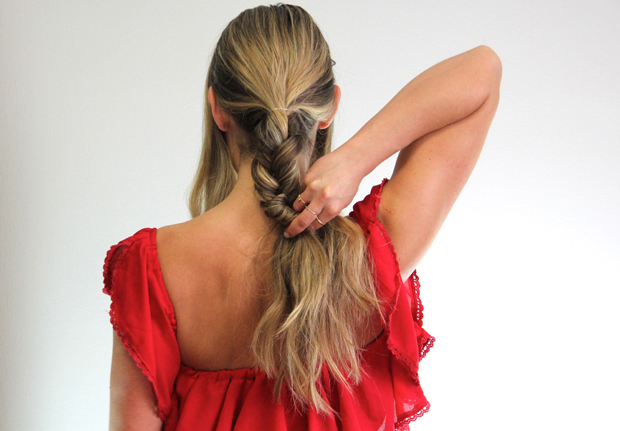 To give it that effortless "undone" look, carefully pull on each side of your braid, loosening the pieces. 6. With the left side of the hair you left out in front, pull it back towards the braid, twisting it as you pull it back. 7. Wrap the twirled pieces of hair around the clear elastic of your braid as many times as it goes around, and secure underneath your braid with a bobby pin. Repeat with the right side of your hair. 9. You're done! You can add a headband to add that extra sparkle to your holiday look.